Our Clubhouse is on the bank of the Yarra River just south of the Bridge Road bridge in Hawthorn. The main vehicle access is via the Yarra Park Reserve off Creswick Street, Hawthorn (Melways map ref. 44 K9). 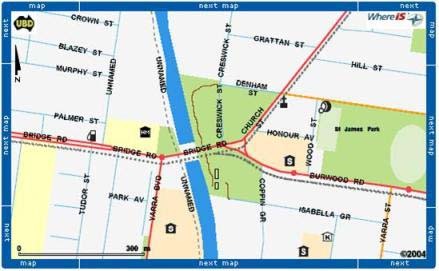 The roadway into the park goes from Creswick St and under the Hawthorn Bridge into the rowing club area. The Clubhouse can also be reached via the extension of Isabella Grove across Coppin Grove, but there is very limited parking nearby. It is very accessible by tram (use the stop at the intersection of Burwood Rd and Church St) and train (Hawthorn station, then walk east along Burwood Rd). Don't forget to mention if you wish to cox, coach or row competitively or socially. To register interest please make sure you include the participant's name and age, and a parent's name and contact phone number. For information about our adult learn to row program, visit our Learn To Row page. Hawthorn Rowing Club is a non-profit organisation and as such the committee is comprised of volunteer members. In addition to the Hawthorn General Committee, we have several subcommittees who deal with more specific areas of club management, plus other key roles such as Junior Head Coach.